Amsco STERIS 444 Reliance Surgical Washer Disinfector Sterilizer Chamber . New Life Scientific, Inc.
-NLS webstore has parts and accessories sold separately. The Steris Reliance disinfector chamber is ideal for cleaning surgical instruments, glassware, and other soiled utensils. The robust stainless steel washer features a digital interface for selecting pre-programmed wash cycles, door movement, and extended sequences. 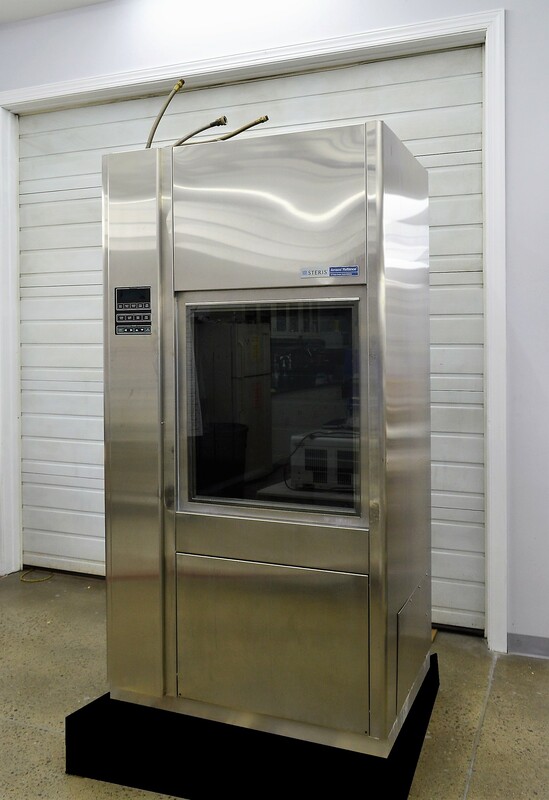 New Life Scientific received the Reliance 444 wash chamber and noted that it was in clean condition. There were multiple units acquired, but this instrument was in the best shape; there are electronic boards, wash bars, and a rack sold separately from the other part-units. Because this instrument was not tested, it will be sold for parts only. 42 x 42 x 86"